This no-fail biscuit recipe will make you look like a pro, even if this is your first attempt at biscuit-making. The instructions below are precise for a reason and should be followed as written. When we say to stir the dough 15 times, we mean it! When rolling out the dough, don’t press down too hard or overwork the dough. This will give the biscuits a dense, tough texture. And if you’re looking for something a little beyond a basic biscuit, try one of our delicious variations. 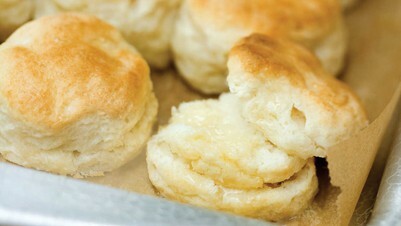 However you make them, you’ll be rewarded with layer upon buttery layer of biscuit perfection.